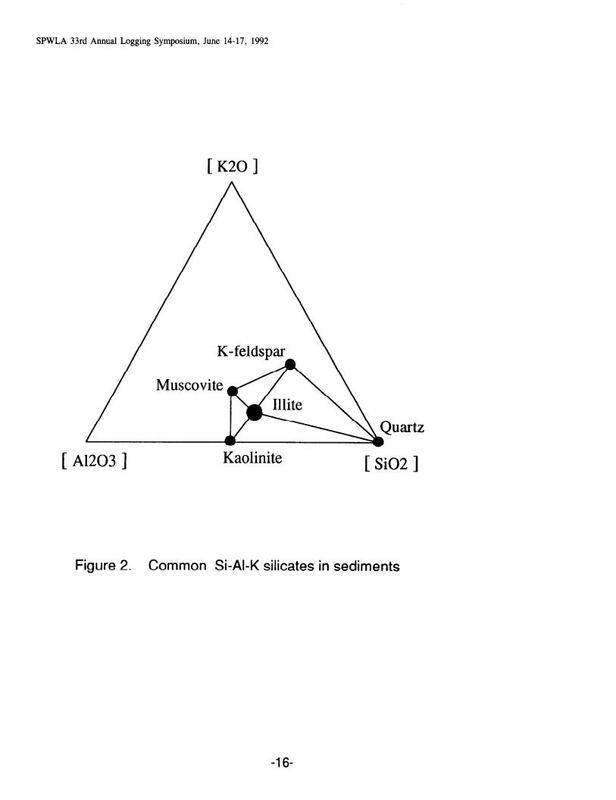 Mineralogy Logs: Element To Mineral Transforms And Compositional Colinearity In Sediments. 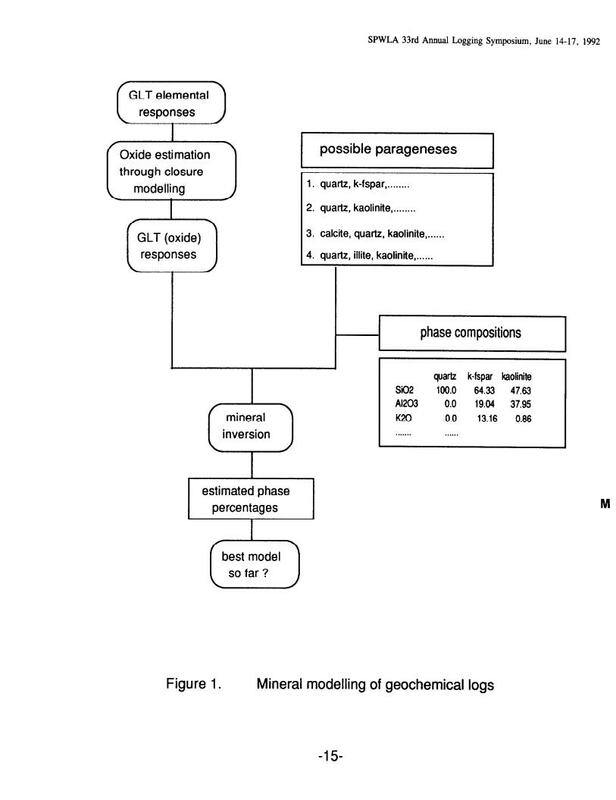 The inversion of chemical data to meaningful mineralogical assemblages provides a quantitative basis for the prediction of petrophysical parameters. The most valuable transforms attempt to provide the proportions of actual mineral phases present (solids and fluids) at each depth interval rather than ideal minerals occurring in theoretical models (norms). Compositional colinearity, in which three or more of these phases lie on, or close to, the same compositional plane is a most serious problem. Depending on the algorithm used for the inversion the effects of these compositional constraints may vary between a failure to find any numerical solution, failure to find a unique solution, or a solution which may be significantly in error. These effects are illustrated for sedimentary environments using well-constrained laboratory geochemical and mineralogy data.